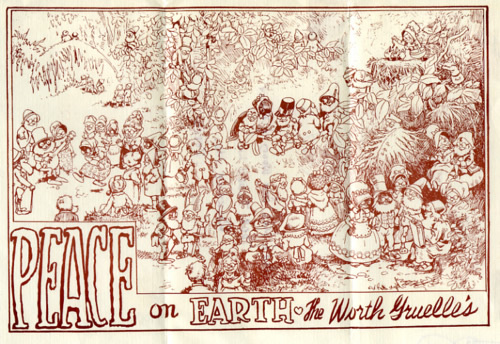 The excellent cartooning history magazine Hogan’s Alley just posted a bunch of old cartoonists’ holiday cards on their website. A gorgeous one from Johnny Gruelle is pictured below… click it to go to the collection (which includes a larger version of the below image). Interesting Links: More Mr. Twee Deedle! 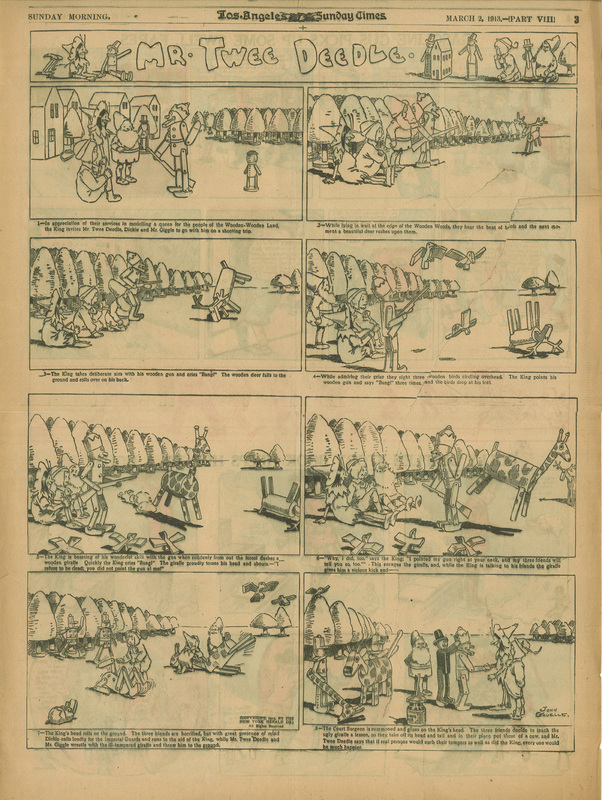 My friends at Barnacle Press just posted a WHOLE LOT more of Johnny Gruelle’s obscure Mr. Twee Deedle (which I mentioned with an example the other day)… they just more than doubled the number of these fantastic and gorgeous strips that I’ve seen in my life. Don’t miss them… click the image to go to Barnacle Press’ Mr. Twee Deedle collection. I wish someone would collect some or all of Johnny Gruelle’s neglected comic strip Mr. Twee Deedle into a book. Gruelle is better known as the creator of Raggedy Ann and Andy, so I suspect there would be a big market for his work. The obscurity of this strip puzzles me somewhat considering the high quality of the work and the potentially large market for the material… I have probably seen less than ten examples of it. What little I’ve seen of the strip is a lot of weird and surreal fun. Here’s an example I scanned (not in color, unfortunately… the color ones I’ve seen have been spectacular). Click the image to see the full strip. Here’s what Don Markstein’s Toonopedia says about Mr. Twee Deedle. Here’s the Lambiek page on Johnny Gruelle.